Referring to the S-300 deployment as a "token capability" and suggesting that the Pentagon might employ its F-22s and F-16CJ Vipers to suppress or destroy Syria's air defenses, as they were prepared to do at the start of the US campaign of airstrikes in Syria and Iraq in 2014, The Drive argued that the US "may have to return to such tactics" after the delivery of the Russian air defense system. Speaking to Sputnik, defense observers suggested that there is little doubt that the US Air Force would like to use this opportunity to learn more about the S-300s in the field using the F-22, a plane specially created to suppress and destroy high-tech air defenses. However, it doesn't necessarily follow that they will actually have the freedom to do so, Sergei Sudakov, a professor at the Academy of Military Sciences, said. "The US strategy of using Raptors against air defense networks looks something like this: One or several F-22s enter undetected into the enemy's radar coverage area, switch on their electronic suppression systems and start jamming enemy detection and guidance systems. At the same time, the planes carry out strikes against radars, launchers and command posts," the academic explained. "Following the breakthrough, a second echelon of fighter-bombers is activated to complete the rout of enemy forces. Paralyzed by the stealth attacks, the enemy air defenses are no longer able to put up any resistance. But such operations seem smooth only on paper," Sudakov noted. According to the expert, even if the ground-based radars do not see the F-22s, the plane will still make its presence known as soon as turns on its on-board radio-electronic suppression system. Once that happens, ground-based control systems will be able to localize the radiation source, subsequently pointing to the aircraft's location and launching an anti-aircraft missile to chase after it. — Sputnik (@SputnikInt) 7 октября 2018 г. 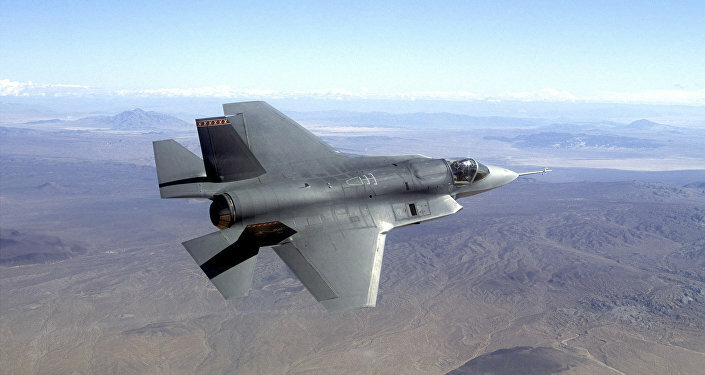 In this scenario, the only thing a Raptor pilot can do in complete safety is to determine the approximate zone of operation of enemy air defenses. But these, in the case of the S-300s, are mobile systems, and can quickly move and deploy in a new location. In that sense, there is no such thing as a completely invisible aircraft. "The F-22's low radar visibility is a fact," military journalist Mikhail Khodaryonok, a 29 year veteran of the Soviet and Russian air defenses, said. "But suggesting that this aircraft is invisible to the S-300's radar systems is a huge exaggeration. In the S-band frequency, it truly is barely visible, which, on the other hand, does not exclude the possibility of firing on it. In the VHF band frequency, for instance, the Raptor can be seen very well," the retired colonel stressed. According to Khodaryonok, the US media's talk about taking out the S-300s is just "empty talk" at this point. "Right now, a war of words is taking place. I am absolutely certain that neither the Israelis nor the Americans will attack the S-300s while Russian specialists are on duty," engaged in training the Syrian forces. "However, they may very well try to destroy them as soon as they are handed over to the Syrian military," the retired officer admitted. According to Khodaryonok, the level of combat training of Syrian forces remains insufficient for them to build up the same kind of effective in-depth air defense system across the entire country like the one that exists at the Hmeymim airbase. This, he said, means that Russia carries its own reputational risks as an arms exporter should the Western powers or Israel attack and defeat Syria's new capabilities. To prevent this, in addition to the S-300s, the Russian Defense Ministry has provided Damascus with Russia's unique friend/foe identification system, and promised assistance with the radio-electronic suppression of satellite navigation, airborne radar and combat communications systems of any aircraft attempting to attack targets in the country. According to Sergei Sudakov, the situation in Syria has long become "a war of words, threats and terrible intimations," all of which are really aimed at masking "Washington's desire to declare its superiority over Russia on the eve of the midterm elections." "In the US, our country was turned into a bogeyman a long time ago. It's obviously that the current authorities want to show off to their electorate. But it will not go beyond words. And if they do, then even a single lost Raptor would seriously shake the proponents of a 'short victorious war', and influence the outcome of the election." Ultimately, as Sputnik military observer Andrei Kotz observed, the Pentagon will need to think not twice, but ten times "before throwing its best planes at air defense systems like the S-300. Maintaining a weapon's reputation in a real war is a double-edged sword. It's enough for the USAF to lose one F-22 for the US military-industrial complex to suffer enormous reputational damage." * The views expressed by Dr. Sergei Sudakov, Col. (ret) Mikhail Khodaryonok and Andrei Kotz are those of the observers, and do not necessarily reflect those of Sputnik.